Garry Newman and Facepunch Studios took to Twitter to reveal the exciting news that their survival MMORPG game, Rust, has sold over 1 million units since its launch on Steam. The game is still considered to be in the alpha stages of development but despite that, the developers have attracted over a million players to the game since its release on Steam in December. The news follows statements recently released by the developers that stated Rust had already accumulated over 50% of the revenue generated by Newman’s last title, Garry’s Mod, despite the fact that Garry’s Mod had 7 years release time on Rust. Garry’s Mod has earned over $22 million since its release on Steam so the sales figures for Rust so early during its development spell nothing but success for the future of the game. 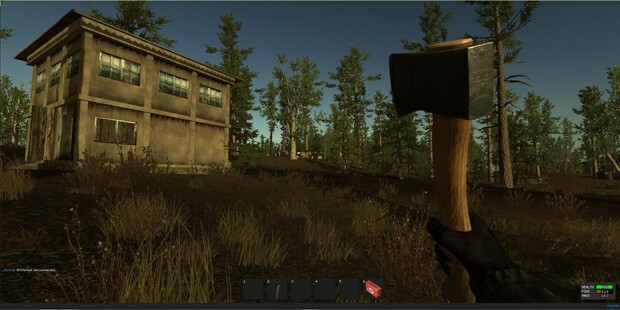 The developers have already released a large number of updates and patches for the game including a recent update that completely removed zombie enemies from the game world, making Rust one of the few survival MMO games that doesn’t follow the typical story supporting a post-apocalyptic world.